Save your time by eliminating things that are not so important and that do not contribute enough toward achieving your goals. 80% of your stress comes from 20% of customers/activities/tasks. 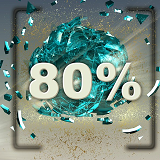 80% of the value comes from 20% of the tasks. 80% of income comes from 20% of customers. 80% of work done comes from 20% of team members. 80% of marketing results come from 20% of marketing efforts.